Lancaster, Ohio has recently put a temporary halt on field testing for drugs when examining a crime scene. This is in response to an incident reported in Connecticut last September, where 11 SWAT officers were all sickened after conducting a raid on a home. The officers threw a “flash-bang” device with the intent to stun anyone inside of the home, but instead, the explosion caused a high degree of fentanyl on a nearby table to go airborne. 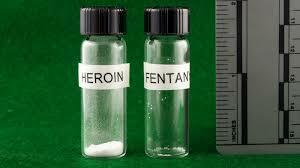 Fentanyl is described by the CDC as a “rapid-acting opioid” that can alleviate pain without causing a loss consciousness. The drug can depress the central nervous system as well as a person’s respiratory functions. It is considered to be 80 times more potent than morphine, which is used as a medical anesthetic, and at least 100 times more potent than heroin. The drug, however, is not classified as a having a medicinal use, and is known only as a drug of abuse. When ingested, the drug severely inhibits a person’s ability to function. Fentanyl can be particularly dangerous because it can be absorbed through a variety of ways, including inhalation, oral ingestion, and even skin contact. It is classified as a Schedule I drug on both the federal and New Hampshire Drug Schedules. Because of the high risks involved with this particular drug, officers in Fairfield County, Ohio, and the Lancaster Police Department are being told to hold back from any immediate field testing. Instead, when responding to calls on overdoses or other drug-related activity, officers should wait until a trained team can come in to properly seize the drugs. The reason for this is that fentanyl is nearly indistinguishable from other types of powdered drugs, so when officers attempt to seize what they believe to be a substance like cocaine or heroin, they may actually be coming into contact with something much more harmful. To prevent incidents like the one in Connecticut, drug seizures in the county are going to be done with fully protective gear, to secure the substances and test them in a lab. Officers are being instructed to care for victims as much as they can but to avoid any interaction with powdered drugs for their own safety. This affects law enforcement as a whole in the county because more officers must be brought in for these incidents. For defendants, this means that all powdered drugs are going to be seized for lab testing instead of tested on site. This may affect cases, depending on Ohio’s laws of evidence, as well, because these substances will likely be immediately be taken into labs for testing and identification without an officer having to review the rules of evidence before conducting the seizure. If you or a loved one is facing criminal charges in New Hampshire, contact the legal professionals at Tenn And Tenn today.